An independent Polish game developed by Sleepless Clinic. The players are tasked with taking care of a research team that crash landed on an alien planet covered with ice. The players must make sure that the researchers survive. 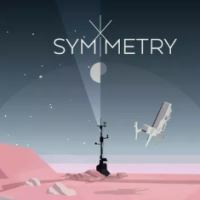 Symmetry for PC, PS4 and XONE is a Polish game developed by Sleepless Clinic, the creators of the mobile puzzle game Brain it: Amazing Adventure. It is one of the first games published by Klabater, a company that focuses on promoting independent games. The PC, PS4 and XONE version of Symmetry features a story about a research crew who crash landed on an alien planet covered with ice. The player is tasked with helping the researchers in surviving harsh environment and fixing their ship. This will enable them to go back home. Symmetry for PC, PS4 and XONE is a game focused on survival. The main task of the player is to take care of people susceptible to various dangerous factors. Player must keep the survivors in good shape by providing food, rest and by maintaining their physical condition. In order to achieve this goal, he or she must organize dangerous trips outside the small base and search for food and various items – including wood and items needed for repairing the ship. Not always everything is under control – for example, sometimes the player might find that he or she is lacking key resources. When that happens, hard moral choices must be made. They can determine the fate of the survivors. Sleepless Clinic created unusual graphics style for Symmetry. The game features vector-based graphics and pastel colors that highlight the mysterious tune and harshness of the planet.